TO REACH PEOPLE WHO ARE LOST, HURTING OR DISCONNECTED FROM GOD AND BRIDGE THE GAP THROUGH A PRESENCE-DRIVEN CHURCH AND THE GOSPEL OF JESUS CHRIST. We held our first open service in March of 2016. For years before the church's inception, a group of long-standing friends met in each other's homes to worship and pray together. Even though the gatherings were powerful, the original intent was never to start a church, but God was setting up a church behind the scenes. Many years later, the Rose and Donnelly families each heard the distinct call of God to officially establish this community as The Collective Church. Brant Colella came alongside as the worship leader and The Collective Church was born. Many of the original families who worshipped in our homes together are now powerful ministers, teachers, and leaders at The Collective. From the beginning, the Lord shared some specific qualities about The Collective that make up our unique DNA. First, the word COLLECTIVE is who we are. COLLECTIVE means "a cooperative enterprise" and "done by people acting as a group." Rather than placing the entire church on the back of one pastor or personality, the "Framily" (Friends + Family) would act as a cooperative enterprise, bringing all kinds of unique gifts and talents to the group. "WE ARE INDIVIDUALLY VALUABLE BUT COLLECTIVELY POWERFUL." We are better together. Together is the only way this church will become all that God has intended it to become. Second, He shared with us that this church would be built on the bedrock of healthy families. 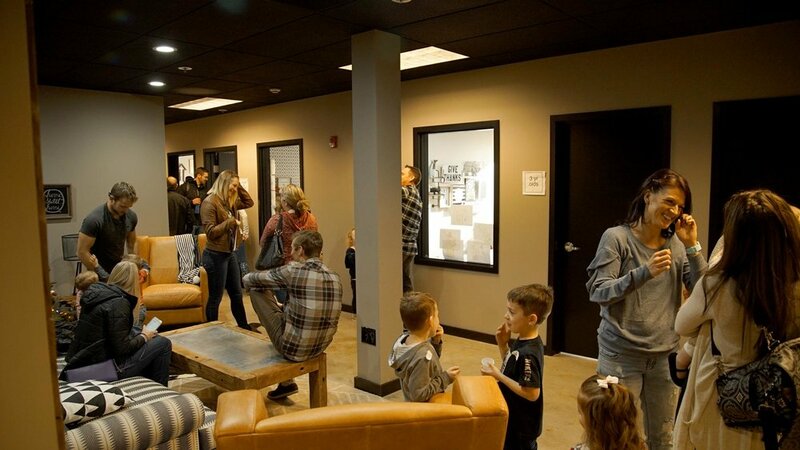 We believe that every adult is a pastor of their own little church called, "the family." By taking care of your family (your first church), you are taking good care of the church. To neglect the family to build the "big church" is counterproductive. Lastly, He shared a beautiful pathway to helping people live in genuine Kingdom Authority – the kind of authority that Jesus called us to live in. He shared with us that leading people into INTIMACY with Him would reveal their solid IDENTITY which would then empower them to operate in true KINGDOM AUTHORITY. The Framily is the church. That's us, that's you. The building is not the church. The pastors are not the church. The logo and brand is not the church. We are the church, collectively, as a Framily. We are not merely an audience looking at one personality to admire every Sunday or a group of people looking to be entertained by a live band. We are a group of people who have placed our highest affection and attention on Jesus Christ and have intimately invited Him to be our Savior, best friend, and honored guest of our life. We truly love being with each other and love inviting new people into the Framily. We believe that the Gospel of Jesus Christ is the hope for our city. We believe that He is the head of the church and the chief cornerstone upon which everything else is built. 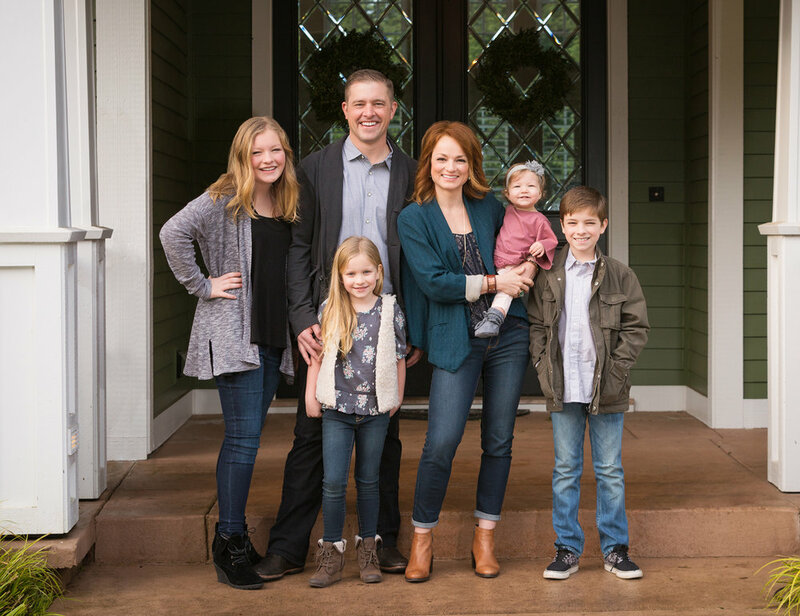 In 2014, the Donnellys moved to West Linn, Oregon. With an unfinished barn on their property and a community center next door, they had no idea that these spaces would very soon hold a church family. The barn, originally built around 1905, was unfinished, so the Donnelly's restored it to be used for business meetings and worship gatherings. A few months after it was completed, the nudge to start the church came and the barn became the best place to meet. The first ever informational meeting of The Collective Church was December 6, 2015. A group of people continued to meet weekly, but the meetings remained "closed." The Lord gave us specific instructions to identify our fears, insecurities, and to seek his heart and vision for this church. He walked us through deeper healing and nurtured the call on our lives. He helped us establish our DNA and revealed the unique DNA of our church, as shared in "Our Story" above. As the months passed, leaders began "sneaking" in a guest or two. This led to more people being eager to invite people into the same joy that we were all experiencing together. In March of 2016, we opened the services to all who wanted to come. People came from near and far and the barn filled up quickly. The Donnellys shared a fence with the Community Center, so we rented this building for kid's church. We knocked down a few fence posts, which allowed the parents to walk straight from the Community Center to the barn. It was fascinating to think that God had masterfully planned out every detail of this church long before we knew a church was forming. After seven months, we were miraculously offered a building lease from an owner who had his building for sale. He felt the Lord tell him to offer it as a lease for us and to remove it from the market. This became another miracle and God was once again, making all the details work out. We are so grateful to the owners and managers of Vigilant in Portland. In October of 2016, we kicked off our first service in the building with a conference called, "One Church." It was powerful and it was here that a few more Collective churches were birthed in the hearts of our Jesus-loving friends from Washington and Texas. 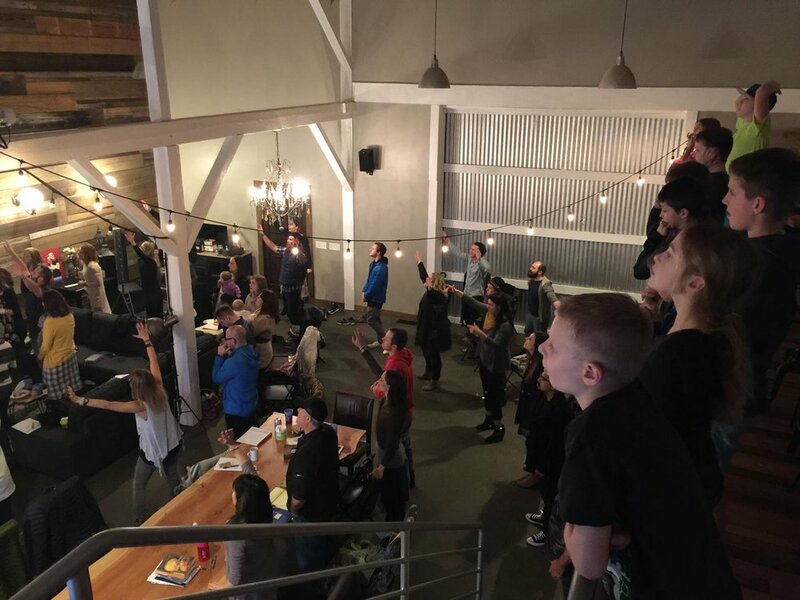 To date, there are five Collective churches: the Portland location, two locations in the state of Washington, one in Northern Idaho, and one in Texas. We are excited to see all of the churches that continue to emerge across the nation and the globe. We've now been in our building for a year and a half. We are a growing body of believers and the story continues to unfold. We are excited for what this next chapter holds. This time, with you in it!